1. Author. Include maximum two authors in the entry (first author's last name, first name and second author's name in direct order; for more than two authors, list the first author's last name, first name, followed by a comma and et al. 2. Title of source. In quotation mark if the source is part of a larger work, but italicized it if the source is self-contained; for example, an article title is placed in quotation mark, but a book title is italicized. This element is required for all sources in the Works Cited List; if there is no official title, provide a description of the source. 9. Location. Page or paragraph numbers, DOIs or URL for online works, disc # for DVD sets, place/city for physical objects, venue/city for live presentations, a code/number for objects in an archive. Note: Some sources may not include all the elements. if that happens, list only the relevant elements you can find within the source. If the source is available in more than one container, add elements 3-9 to the end of the entry for each container (see examples in MLA Handbook, pp. 32-36). Optional elements may be included if they are relevant to the source and/or your use of the source; click here for more information or consult pages 50-53 of the MLA Handbook, Eighth Edition. 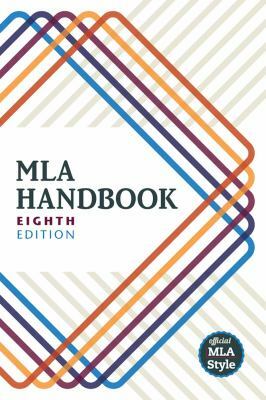 MLA site: What's New in the Eighth Edition. You have to download the file to open it.